Like everybody else, everyone needs and deserve some rewarding moments. Staying in 2 Bedroom Apartments Surfers Paradise for a holiday getaway in Surfers Paradise is great for the whole family. However, tagging along the whole family can be quite an experience. You need the best Surfers Paradise apartments to make your stay in the Gold Coast comfortable and convenient. The good news is holiday outing jitters can be defeated and more fun and enjoyment definitely awaits in Anacapri’s family apartments Surfers Paradise. This is what Anacapri Apartments assures all family holiday seekers. 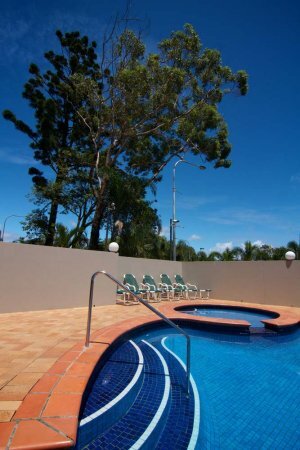 People from other countries will definitely enjoy the awesome views of the Gold Coast from Anacapri Apartments. Family apartments Surfers Paradise, located in the heart of Surfers Paradise, is one great option for any family who visits the Gold Coast for a certified Aussie holiday experience. The apartments are all fully furnished, and some can accommodate as many as seven guests. Guests can be assured that every member of the family would remain comfortable all throughout the vacation. Together with these apartments are resort facilities at Anacapri Apartments that will definitely cater to family fun and enjoyment. There’s a pool area for both kids and grownups adjoining a barbecue area on which visitors can cook their favorite foods over the grill. Health buffs can also experience some quality time in the gym, spa/wellness centre, and sauna. If you need to keep in touch with family back home, or check your emails, internet access is also available at Anacapri. Exploring Gold Coast further is easy, as staff at the tour desk at our family apartments Surfers Paradise are ready to help book and organize your Gold Coast tours, activities and attractions. With all these features and facilities, Anacapri Holiday Resort is the best choice for your Gold Coast family apartments.